With a new year comes the opportunity to grow your restaurant business in new and exciting ways, reconnecting with loyal customers whilst forming a whole new following. It’s also a great time to start a restaurant, tapping into people’s desire for something new and exciting. Influencers in the food and beverage world have now released their predictions for the hottest restaurant trends of 2019. And we’ve picked our top six; all of which can easily be trialled without too much work or expense on your part. Ice cream never goes out of fashion, but Waitrose predicts that it’ll be a star of 2019, with more companies vying for a space on people’s Instagram feeds and experimenting with dairy alternatives. However you’ve been serving ice cream on your menu until now, now is the time to take it to the next level. After half a million people campaigned for McDonald’s to ditch plastic straws last year, it committed to the universal introduction of biodegradable paper alternatives across its UK stores in 2019 — eradicating the consumption of nearly 2 million plastic straws daily. And it’s not the only company to note changing customer demands either, with Costa Coffee, Wetherspoons and Pizza Express all taking similar measures to rid themselves of plastic straws. Beyond straws, Just Eat has been boldly setting the standard for plastic waste reduction by testing out non-plastic packaging for sachets, giving customers the chance to opt-out of receiving single-use cutlery and stopping the sale of single-use products in its London-based partner shop. Deliveroo has also made promises to offer its partner restaurants sustainable packaging alternatives. If corporations are doing it, an independent business like yours can certainly do it too. And as people start making more conscious choices about their plastic footprint, a visible change to your approach is a great hook. Whilst the craze for Filipino food took off in the US in 2018, it’s still up and coming here in the UK according to National Geographic. Filipino supper club Adobros describes the cuisine as: “…the first fusion cuisine in the world – and that’s what makes it so unique and interesting. Nowhere else in the world will you find a dish using Southeast Asian produce, flavoured with Chinese ingredients and given a Spanish name.” Sounds exciting, doesn’t it? Whole Foods in the US notes that the rise of keto and paleo diets in recent years has consequently increased the demand for dairy-, animal- and grain-free healthy fat sources. This boom is expected to continue into 2019, with coconuts, avocados and nuts taking centre stage in coffees, chocolates, nutrition bars and more. 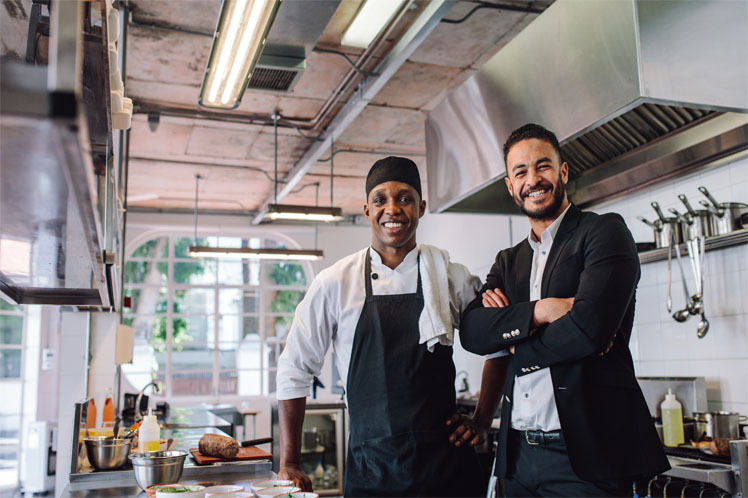 According to af&co, a top US boutique restaurant and hospitality consulting firm, 2019 will see more restaurants finding ways to contribute to good causes through creative fundraising and marketing activity. It gives examples of Curio, a restaurant in San Francisco, that donates $1 from the sale of every “Sphinx” cocktail to support wildfire recovery efforts, and Bluestem Brasserie’s “Bake the World a Better Place”, which brings top pastry chefs together for a fundraising bake sale. As corporate social responsibility becomes an increasingly important factor in people’s buying decisions, events and initiatives like the above add to your brand image, as well as providing unconventional ways to engage your audience and create buzz. This is perhaps one of the most interesting trends for small businesses who have a particularly intimate relationship with their customers and far more direct conversations with them.